Please contact us at our new main line, 918-957-1000. If you are not a gas compressor controls customer and need assistance from Murphy by Enovation Controls with diesel engine or marine products, please go to their website enovationcontrols.com or call 918-317-4100. FW Murphy’s new Engine Integrated Control System combines speed, air/fuel and ignition control in a single package designed to save you time and money. The pre-calibrated package ensures your optimal performance and the integrated system simplifies installation. 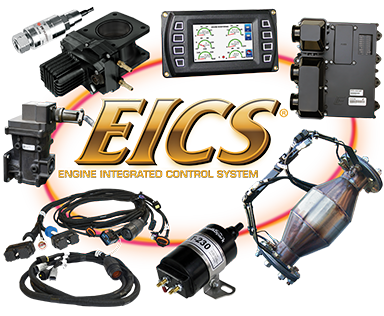 See if your engine is EICS-ready today! We’re raising the bar with the Centurion™ C5. 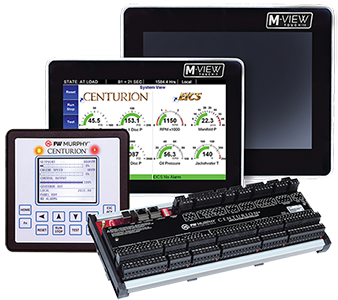 With this future-proof and backward compatible release, you’re in control whether it’s a new installation of the Centurion C5 or an upgrade to your current Centurion. Its communications and diagnostic / troubleshooting abilities pave the way to longer run hours and will change the way you look at asset management. FW Murphy products improve the protection, performance and reliability of engines. With the sale of Enovation Controls, FW Murphy Production Controls is continuing the legacy started by Frank W. “Pat” Murphy more than 75 years ago. Our same traditions of customer focus, innovative ideas and reliable products carry on as we continue to serve the Oil & Gas Production and Natural Gas Compression Markets. FW Murphy continues to provide a full spectrum of engine management solutions. These range from electronic and mechanical controls to custom engineered compressor control panels and systems, plus turnkey ignition systems and air-fuel ratio control systems. In addition, FW Murphy’s EICS® (Engine Integrated Control System) delivers unmatched dyno-tuned performance and emissions improvements to a host of popular natural gas engines. For the gas transmission industry, CS&S (Control Systems and Services) engineers develop application control systems designed to meet gas compression control needs utilizing our complete line of fault annunciators, and configurable and programmable control and monitoring systems, which include sophisticated PLC systems. These systems bundled with a comprehensive offering of end-devices and instrumentation offer a one-stop-shop for complete skid control, monitoring, and protection. For field gas gathering, from recovery to compression — no matter how remote — FW Murphy helps manage gas compression applications with scalable control strategies including dedicated vapor recovery solutions, basic fault shutdown protection, and the Centurion® platform for simple automation or customer engineered systems. Our proven controls and instrumentation outfit the compressor skid and our EICS and other engine management solutions ensure the system will meet the requirements where the skid will operate. Connect with a Strategic Manager near you. Click the link to get our new address and see our locations worldwide. See how FW Murphy products provide crucial solutions every day. FW Murphy Production Controls © 2019. All rights reserved.